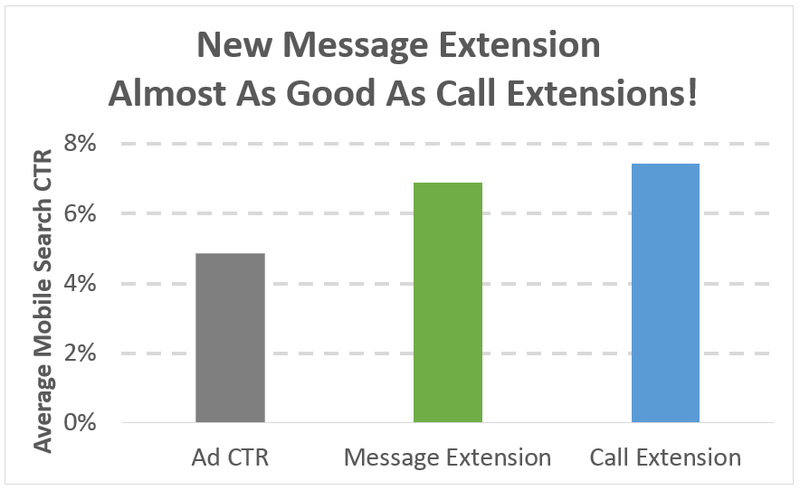 Many PPC marketers are frustrated. Why? 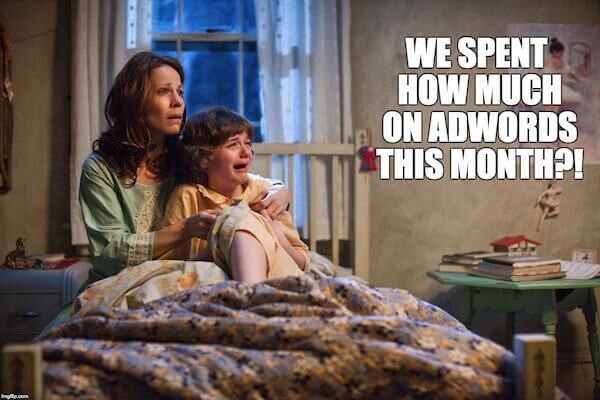 Because they feel like AdWords is no longer an option. 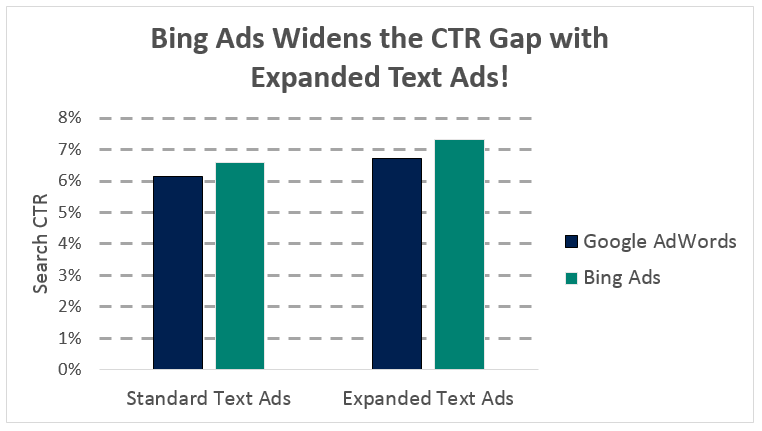 Over the past few years, CPCs have increased by 3X in some verticals — that’s even with a Quality Score of 9 or 10. 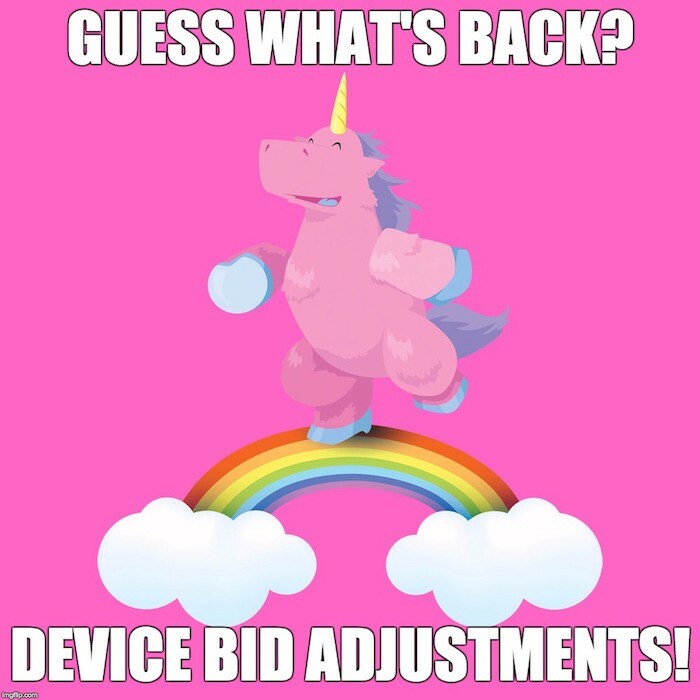 According to WordStream data, the average cost per click in AdWords across all industries is $2.32 on the search network. Meanwhile, the average cost per action (CPA) is $59.18 on the search network. 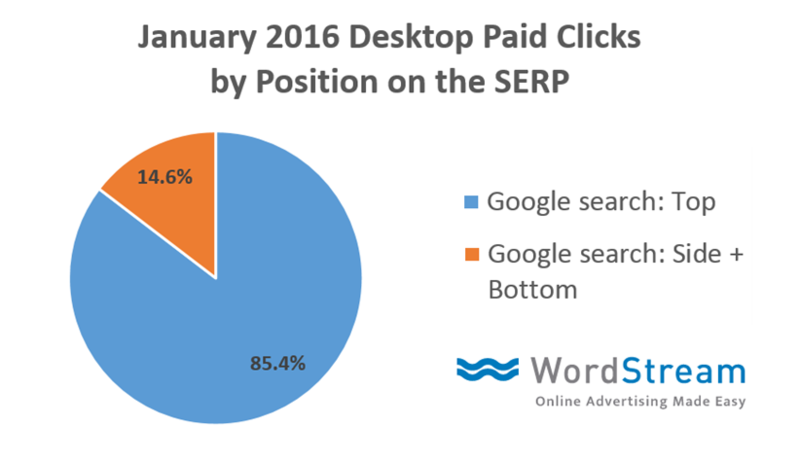 But if you’re in an industry where it takes multiple clicks before someone purchases, you easily could be burning through hundreds or thousands of dollars on paid search advertising. And conversion rates? Those haven’t changed much in 15 years. The average conversion rate is about 2.5 percent. 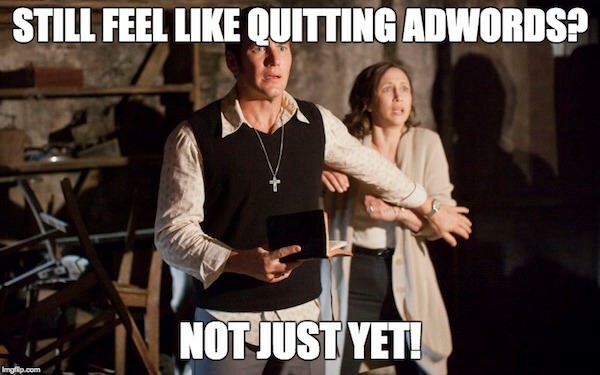 Some PPC marketers honestly believe there’s no way to make money with Google AdWords anymore. They think that Google AdWords is too expensive, and the competition in their vertical is downright scary. Actually, no. There is a way forward. If you’re marketing in an insanely competitive vertical with outrageously high CPCs where conversion rates are challenging, this post is for you. Are you ready to increase conversions by 10X at half the cost per click and a quarter of the cost per conversion? I thought that’d get your attention. With RLSA — or remarketing lists for search ads — you tailor your paid search campaigns based on whether users have previously visited your website (or app) and which pages they viewed. 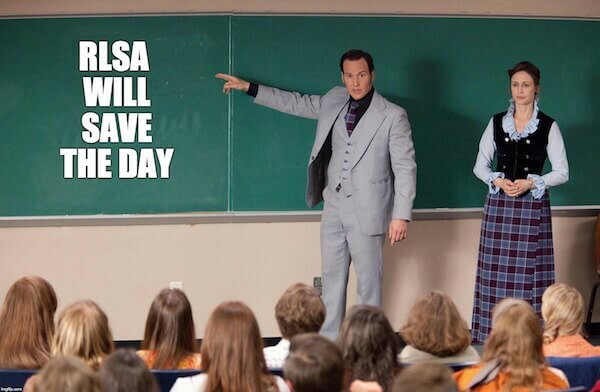 So will RLSA save the day? Let’s look at some data. 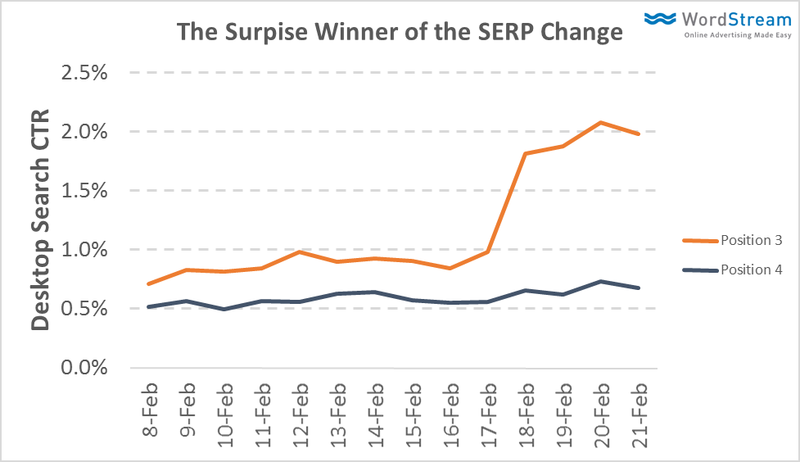 These two campaigns have the exact same keywords, but one targets returning visitors (RLSA) while the other targets new visitors. lower CPA ($36 vs. $140). The nightmare is over, right? RLSA doesn’t create new volume. 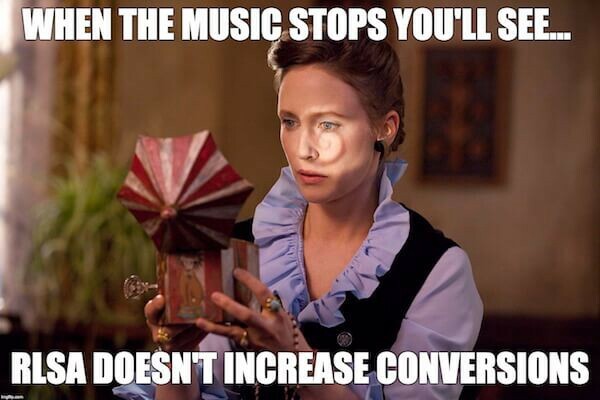 It actually slashes volume substantially. You’re only getting about a tenth of the volume. And consider this dismaying observation: If you look at the previous month, RLSA added nothing in terms of total conversions (245 this month vs. 250 last month). RLSA is merely cherry-picking the 10 percent of cheap conversions out of a pile that used to include both cheap and expensive conversions. You would have gotten those conversions anyway! If the circle represents your entire potential customer base, you’ll notice that people who are already familiar with your brand make up just a small portion of your audience. 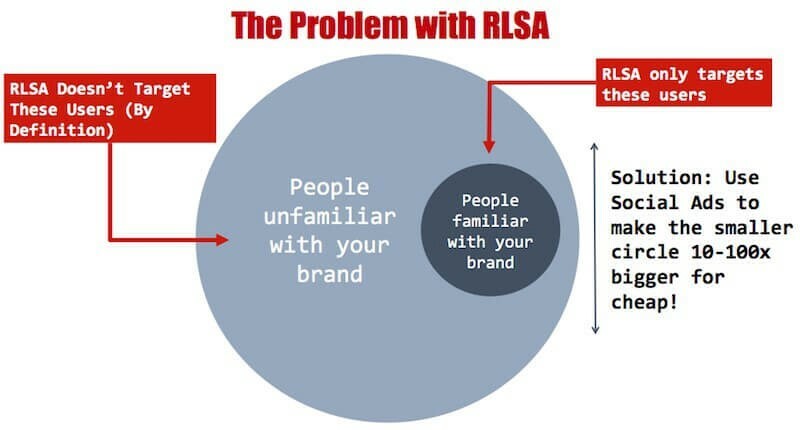 The problem with RLSA is that it only targets people familiar with your brand — it doesn’t target people unfamiliar with your brand (Well, duh!). Yes, RLSA delivers on cost savings, but the number of conversions is scarily low. But there is a solution to this dilemma. A solution to die for! Only do RLSA! Don’t do any unbranded vanilla search ads at all. None. Zero. Instead, use the power of social media ads to dramatically — I’m talking 10x to 100x — increase the size of your cookie pools. If you can increase the size of your remarketing pool by 10X (making that tiny circle bigger for cheap), then it stands to reason that you’ll get 10X more conversions! lower costs per click and costs per action. It all starts by promoting inspirational or memorable content about your brand to your target audience with social media ads. People will see your ad, but won’t necessarily take action right away. But you will start the process of biasing them. 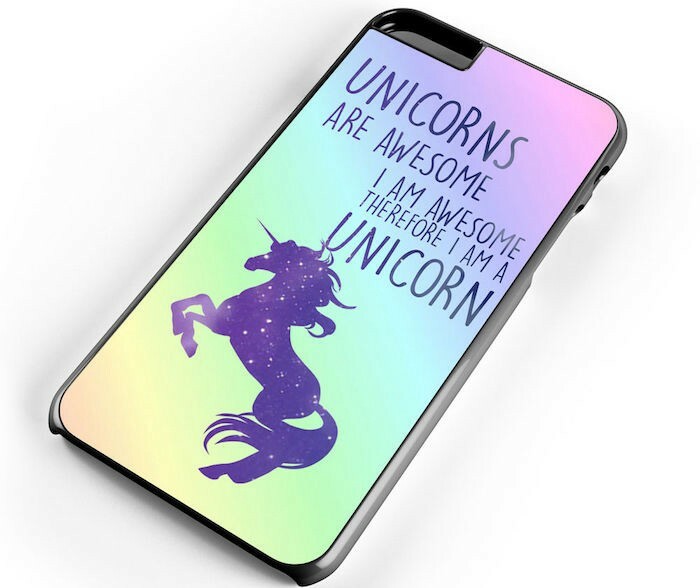 And when I say promote amazing content, of course, that means promoting your unicorns: the content that has outperformed all your other content. Content that has received the most social shares, page views or opens. Your one percent. 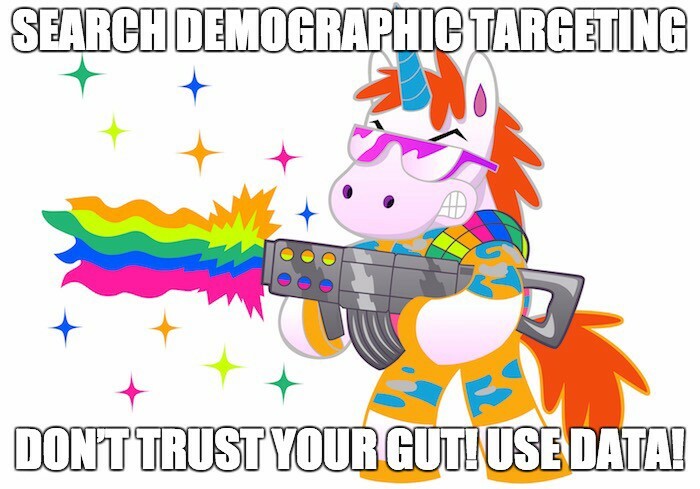 This is critical because when you promote a unicorn, you’ll get a really low CPC and high number of free clicks. You can actually get hundreds, thousands, or even millions of clicks, engagement and visits by investing $500 or $1,000. People didn’t know about your brand before. Now they do. Continue to bias them with RLSA. 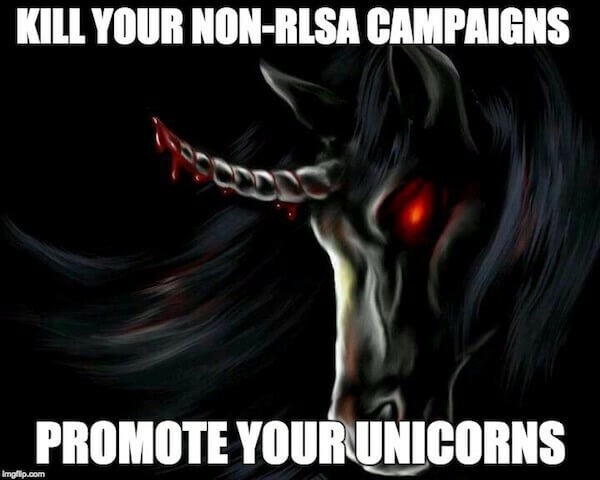 Later, when the need arises, people will either do a branded search for your stuff, in which case you win, or they’ll do a non-branded search, but they’ll be more likely to click on your result because they’ve visited your site, which is how you truly reap the benefits of RLSA. 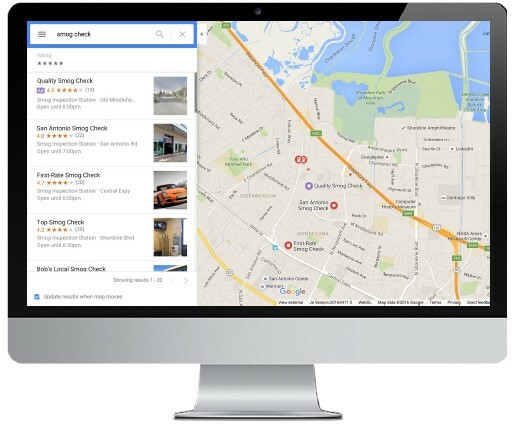 Shift your budget from unbranded search campaigns to social campaigns. This will let you build the audiences you need to drive cheap RLSA campaigns through search. Some marketers do Google Display Network advertising exclusively using remarketing. Why? Because the ROI for remarketing-targeted ads is so much higher than interest- and demographic-based targeting alone. So all I’m suggesting is that you do the same thing with search! Interest targeting and managed placements (i.e., where you specify certain websites you want to target) are such weak signals of intent. 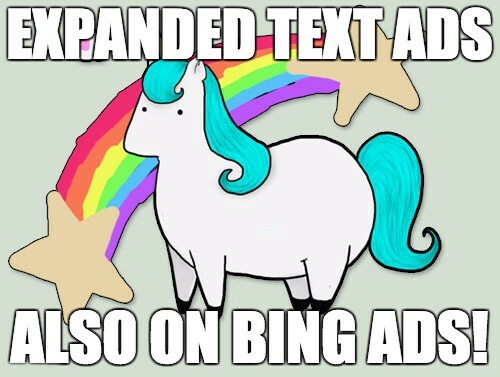 Remarketing is so much more awesome. All you have to do is focus on your target audience (e.g., people who live in Miami, Florida, make more than $500,000, own a boat and are conservative ­– or whoever you want to reach). Target your target audience with social ads. Bias them so they’ll search for your stuff. You’ll still be one of the companies in the list competing for that search, but now you’ll have a HUGE advantage. 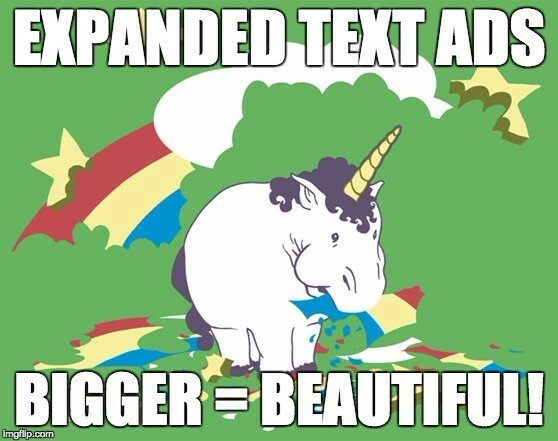 Start conjuring up PPC profits! 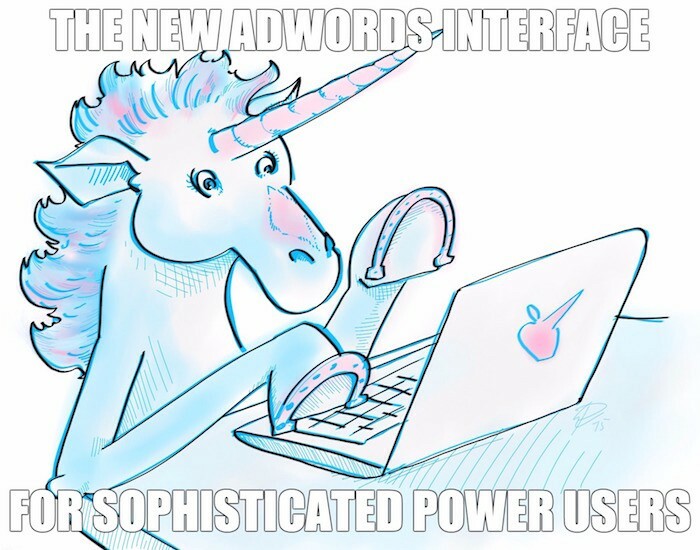 Despite all the obvious challenges posed by crazy high CPCs, conversion challenges and inventory concerns, you can still make money with Google AdWords by investing just a few hundred dollars. Let’s be honest. 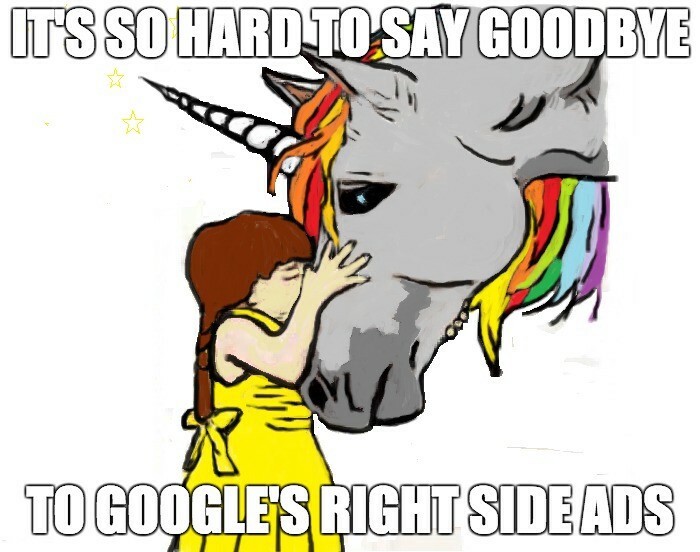 Targeting unbranded search is a suicide mission in a lot of industries. Vanilla unbranded search is a rat race. You have no competitive edge. You’re just one of seven companies on Google’s SERP. Marketing is all about finding and exploiting a ridiculously unfair advantage. 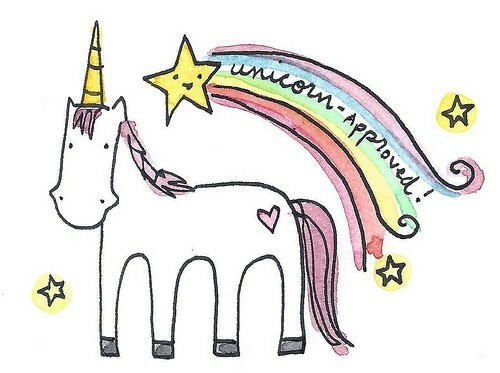 With the ridiculously awesome new way forward I’ve laid out in this article, RLSA will be like printing money!